In the traditional Pomodoro Technique, you might do 4 sessions of work today, in 45-minute spurts. In between each work period, there is a 15-minute break. Can a Timer Make a Person More Efficient? I laughed and laughed at the thought of this technique working for me. 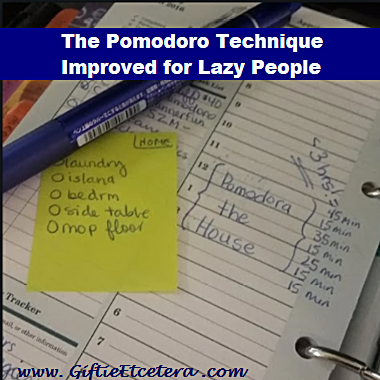 As if a simple timer would take away my lazy! I was just unmotivated to do my task for more than 45 minutes. Once I stopped (drafting my book), I didn't want to work for two more hours! Instead, I tried a different tactic. It's one I've used with my kids before (especially when working together on chores, homeschooling, or a long-term homework project). Instead of doing 4 45-minute sessions, I did 4 sessions of a declining number of minutes, with 15-minute breaks (to check Facebook, read, exercise, or play games) in between. TIP: Can't focus for 45 minutes? Maybe 30 minutes is your high sweet spot, and you can do 30/25/20/15 - and just do a few more sessions a day. If the project is really big, of course, I might have to do 8 sessions or longer than 45 minutes to start. But that's okay as long as I can stand the longest segment! When I tried working for 45 minutes, then a break, then 35 minutes, then a break, and so on, guess what happened? Working the Pomodoro Technique in declining increments of time gave me a reward (less time left to work and never having to work harder than round one), so it worked for me! Try it. Pick today's task list in your planner, and see if the technique works for you. I'm doing my household tasks this way today. And if it doesn't take the whole two hours (45 + 35 + 25 + 15), great! Extra time for napping. Happy Saturday! I just use the timer Chrome extension, but for those of you who need actual visual timers, I have some recommendations. And this Visual and Audible Timer is more expensive but worth it for anyone with trouble concentrating, include ADD adults and kids. Make sure to check it out. I like this idea! Definitely going to try it! I kind of do this naturally, because I'm a bit restless. I know now that taking frequent breaks from the computer is good for you, so I just go with it. I do have to keep an eye on the time during my breaks or I get too involved in other things. I use my phone as a timer when necessary. However I normally do not time my working minutes. This is a neat idea and something I may decide to try. if I was going to get a new timer, I would definitely travel to the child side of me and get R2D2. He is too cute! Thank you so much for linking at #overthemoon! I look forward to seeing what you share every week. Please come back for #WonderfulWednesday or #ThursdayFavoriteThings. Don't forget to comment your link #'s so I can be sure to visit. Pinned and shared. That's an interesting idea! I may give that a try. Today is laundry day. I need to do some homeschool book work, too. What an interesting concept. 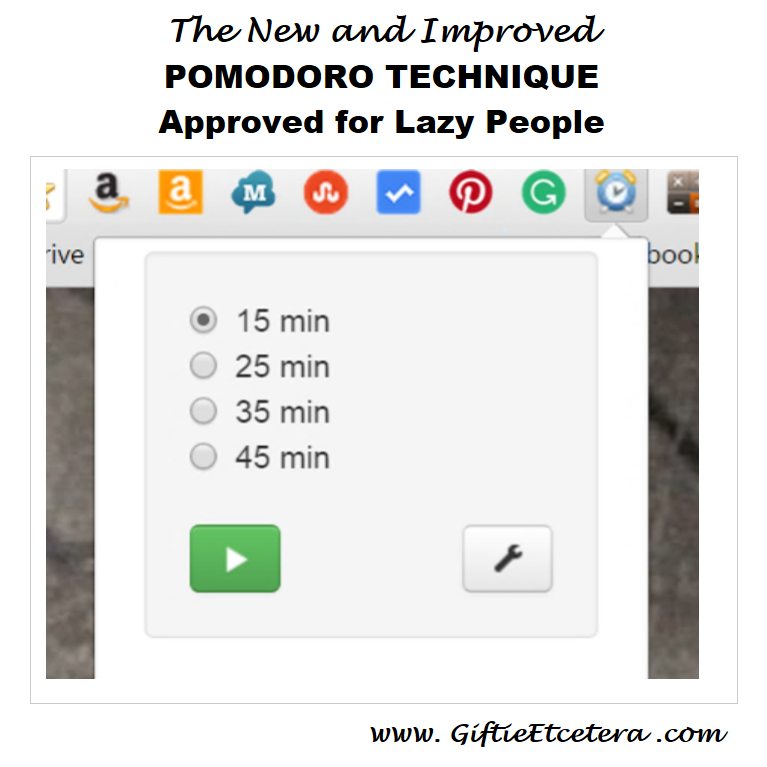 I haven't tried Pomodoro. But I suppose I do break up my work in increments like this though I alternate between activities that require to be on my feet vs. ones that don't. Thanks for sharing with Small Victories Sunday Linkup. Pinned to our linkup board.